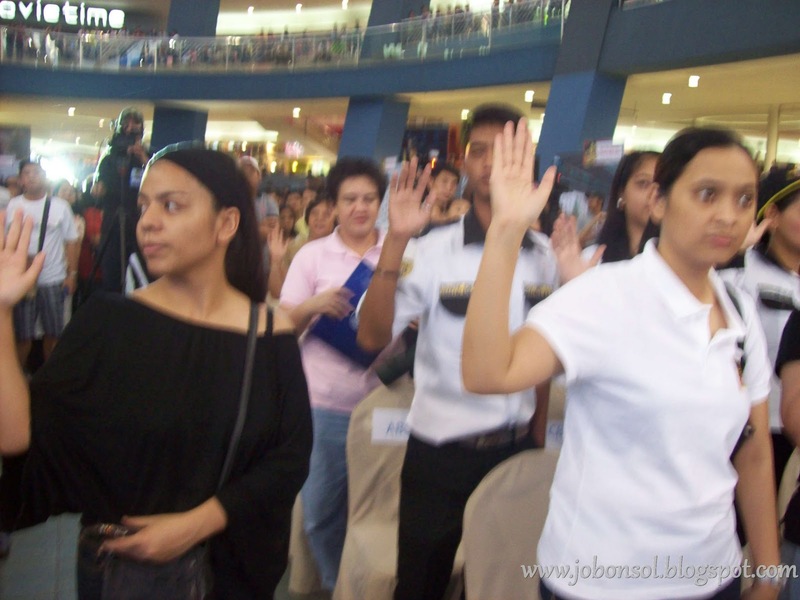 Event: The Filipino nation pledges for Ingat Pilipinas! I should've thought of John Lloyd Cruz's "Ingat" at Biogesic's TVC when I had a fracture and eventually a metal implant last year. I should've taken medicine from a bad headache out of fatigue and I've realized my carelessness two months ago when Ingat Pilipinas advocacy was launched. The advocacy can really help save thousands of lives and accidents. The Ingat Pilipinas Pledge Event, the biggest public display of Filipino community's support for the advocacy raising awareness about road safety was held yesterday at the Music Hall of SM Mall of Asia in partnership with the public and private sector such as PNP-HPG (Highway Patrol Group), MMDA (Metro Manila Development Authority), the Department of Labor and Employment, (DOLE) and its sub-agencies, the Bureau of Working Conditions (BWC) and the Occupational Safety and Health Center (OSHC), the coalition members like SOPI (Safety Organization of the Philippines) and the leading headache relief brand of Unilab, Biogesic. 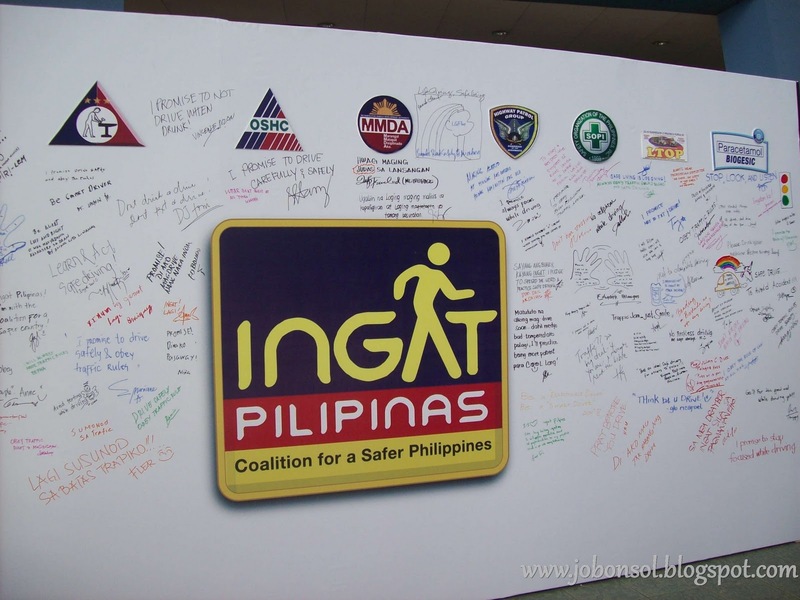 Pledges were signed on the Ingat Pilipinas Wall, doctors gave free consultation and health kits, bystanders tried the short quiz puzzle on road signs and short lectures on road safety was given to concerned citizens while kids were given puzzles about road safety. According to Nikki Godino of Biogesic, "Research reported that 8 out of 10 road accidents are caused by human error which we can help avoid if people were more careful. 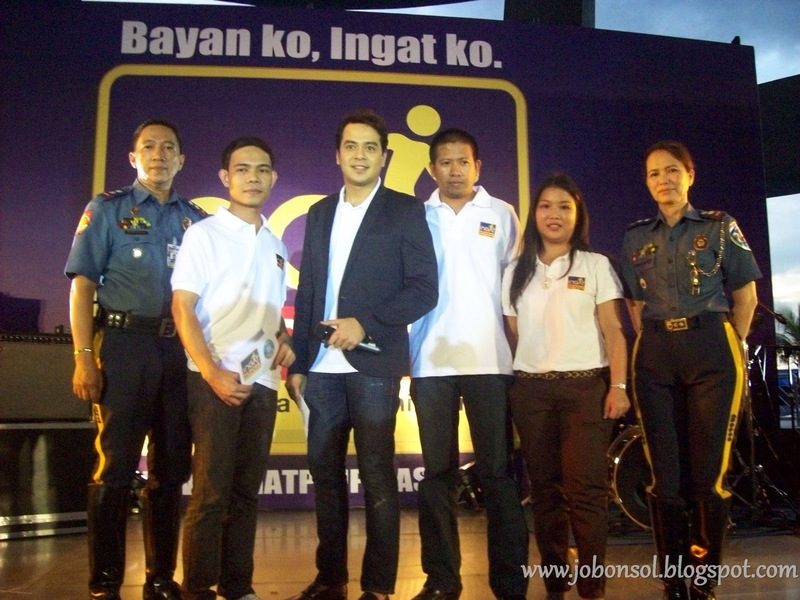 I believe the first step towards a safer Philippines is for everyone to make safety a personal responsibility". Notable personalities like the veteran journalist Mike Enriquez, Regine Tolentino and celebrity John Lloyd Cruz graced the occasion sharing their pledges and support for the Ingat Pilipinas advocacy. Two months ago, the first phase of the advocacy included road safety featuring free and safe rides on the Ingat Jeepneys at key points in the metro during the week leading to the event and yesterday by bringing passengers to SM Mall of Asia. The special Driver's Refresher Course was provided by Smart Driving School and Biogesic. Having a headache and poor health is really an important factor to safe driving. Drivers have identified headache, fever and pain as the most common ailments they experience so ignoring the pain may lead to a fatal accident like what happened to the testimonials given yesterday. My example of ignoring headache and fatigue had led me to spend thousands of money and my life in real danger last year. It should be a personal responsibility to take road safety seriously and spread the awareness for the country. From Col. Butacan's report of 54 road accidents happening everyday in Metro Manila, it had increased to 88 as of today from the data gathered by the PNP Highway Patrol Group. Turning the country into an Ingat Nation requires the participation and support of all citizens. A safe and effective country starts with you. You can do your part by adopting safety habits like wearing seatbelts, using footbridges or designated pedestrian lanes and making sure your vehicle and most importantly your body is well-maintained. You can also show your support by participating in the advocacy's upcoming projects by signing up at www.ingatpilipinas.com. 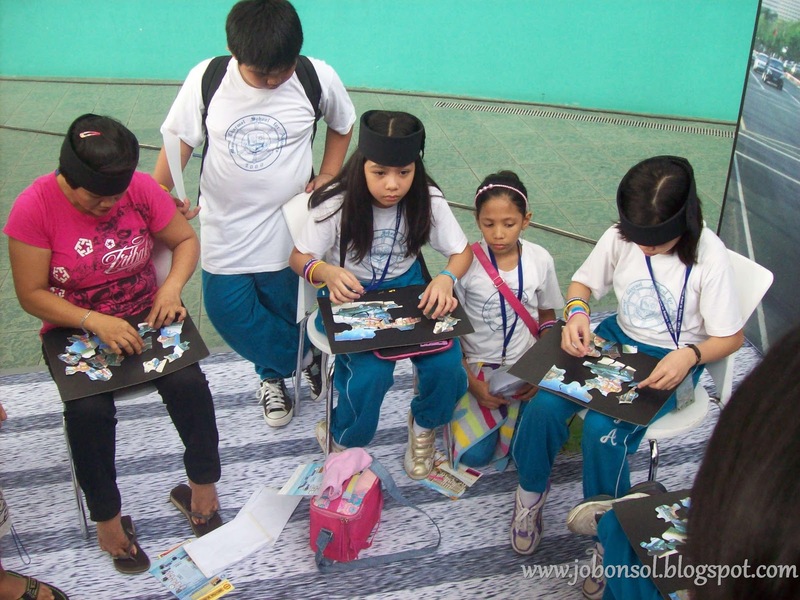 2.Event: Join the “Ingat Pilipinas” and prevent road accidents!